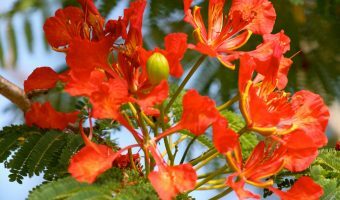 With a sub-tropical climate Bermuda’s parks and gardens explode with vibrant colours throughout the year. Bodies and organisations such as the Department of Parks, the Bermuda National Trust, and the Corporation of Hamilton have worked tirelessly to create open spaces that can be enjoyed by all. Their dedication has resulted in a variety of beautiful parks and nature reserves throughout the island. Hamilton is the capital and has a great selection of urban parks. Queen Elizabeth Park is one of the best. The city centre oasis boasts some wonderful works of public art and fantastic floral displays. Barr’s Bay Park is a small waterfront park while Victoria Park is the setting for afternoon concerts in the summer. The Bermuda National Trust works tirelessly to protect they island’s natural and cultural heritage. They have a number of parks and gardens in their care. Spittal Pond in Smith’s Parish is the largest. This coastal nature reserve covers more than 60 acres and is a magnet for migratory birds. It also boasts some unique geological formations and some historically significant sights. Other properties under the care of the BNT include Paget Marsh Nature Reserve and the delightful gardens at Verdmont and Waterville. The Bermuda Botanical Gardens is the largest formal park on the island. Situated just outside Hamilton, it’s a great place to come to see and learn about the island’s varied flora. The park is also home to the Masterworks Museum of Bermuda Art and Camden, the official residence of the Premier. Several of the island’s historic forts have wonderful settings with plenty of green spaces. At Fort Hamilton and Fort Scaur you can enjoy panoramic views of the island. 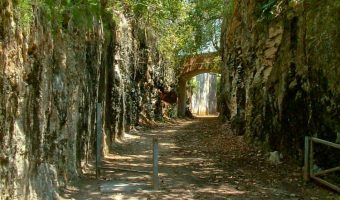 The longest walking trail in Bermuda isn’t found in a public park but along the former route of the island’s railway system. The Bermuda Railway Trail runs from Sandys Parish to St George and offers an excellent way to explore the island. Once the home of admirals of the Royal Navy. Now a beautiful park with a small beach. Close to Hamilton. Pick up point for many of Bermuda’s water tour operators. Next to Hamilton Ferry Terminal. Secluded beach overlooked by a park. Popular location for outdoor wedding ceremonies. Small park overlooking Hamilton Harbour. In 1835 slaves from the Enterprise ship were landed here and freed. 36 acres of trees, flowers and shrubs. 12 acre nature reserve near the Grotto Bay Beach Resort. One of the best beaches on the island for snorkelling. Historic fort offering fantastic views of Hamilton Harbour. The ramparts here offer spectacular views of Ely’s Harbour and the Great Sound. View the island’s interior as it appeared to the first colonists. Home to a variety of palms. Once the garden of William Perot, Bermuda’s first postmaster. Trail following the route of the old railroad. Named after Henry Shelly, one of the crew of Sir George Somers’ wrecked ship, the Sea Venture. The largest and most easily reached nature reserve in Bermuda. The setting for free summer concerts. One of the island's hidden gems. Beautiful private garden open to the public on weekdays.